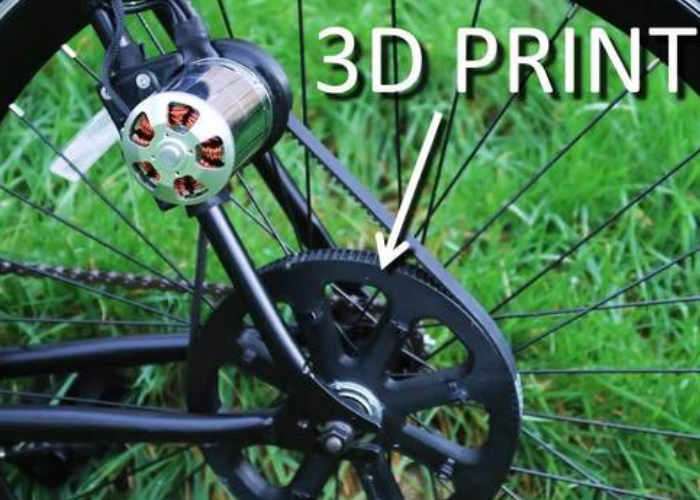 If you have a 3D printer handy or fancy building your very own DIY electric bike you might be interested in a new project that allows you to build a home-made electric bike using 3D printed parts together with a battery and obviously an electric motor. Check out the video below during which electric bike is constructed and demonstrated. All files required for the 3D printing process as well as instructions can be found over on the Thingiverse website via the link below. Enjoy! Building a homemade electric bike using 3D printed parts! It was definitely a learning curve, but it worked out pretty well! If you would like to build the same setup, I have listed the parts required below. As mentioned in the video, I would really appreciate it if you purchased the parts via my affiliate links to support my work. Thanks!